What happens after estate planning documents are signed? Once the documents are signed, many Nevada residents believe the work is done. However, once the ink dries on a person’s estate planning documents, there could be more to do. For instance, a trust document does not necessarily mean anything if it is not funded. Therefore, an individual’s property and accounts need to be put into the name of the trust. 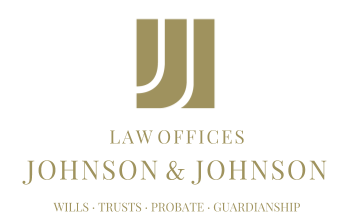 This will keep the assets in the trust from having to go through the probate process upon death. Further, the accounts and property could be kept safe from creditors and others who may attempt to attach or seize the property. Further, any property owned upon death can be automatically transferred into the trust through a pour over will. Once those assets are placed into the trust, they can be distributed in accordance with the provisions of the trust. The terms of the trust can restrict when and how its beneficiaries receive their inheritance, which could ensure that the assets are available for a longer period of time. Once the trust is funded, it still requires review from time to time, including when any major life event occurs such as a divorce or birth of a child. Estate planning documents can be changed as a Nevada resident’s family or financial situation changes. For example, if the documents are not reviewed, it is possible that an ex-spouse may receive a portion of the estate since he or she was never removed as an heir or beneficiary. This includes assets such as retirement accounts and insurance policies that pass by operation of law. The beneficiary designations filled out at the beginning may no longer be valid, and need to be changed as life changes.